Earned the status of ‘State’ in the year 2000, Uttarakhand, which was earlier a part of Uttar Pradesh, is famous for its scenic beauty and pilgrim centers. If you are associated with religious beliefs, you may be keen to visit the place for its divinity and if you are a nature lover, you will find divinity in the rich expanse of endless natural beauty here. Wherever your faith is placed, be it in god or in the powers of nature to inspire you into living a life of fulfillment, Uttarakhand is the perfect destination. Here are the top 11 places to visit in Uttarakhand. Famous for: Hill station, landscape, views. Major Attractions: Sahastradhara and Tapkeshwar temple. Nearby Places: Mussoorie, Rishikesh, Haridwar. Ideal Visit Time: 1 day. Jolly Grant airport is the nearest one to Dehradun, lying about 30 kms (1 hr 10 min) away from the city. Major flights like Indigo, Jet Airways, Air India etc have regular flights here from all major cities. Pre paid taxis can be availed from here to the city. Dehradun railway station (DDN) is the nearest junction located at a short distance from the main city. Regular trains from all parts of India have a stoppage here. Uttarakhand State buses runs regular buses from all parts of the state, nearby cities and even from Delhi (Kashmera Gate). The Dehradun bus station is about 5-6 km away from the main city and a cab or taxi should be hailed from the same. NH44, NH334, NH307 are the national highways passing through the city. Famous for: Hill station, Views, Lakes, Serenity. 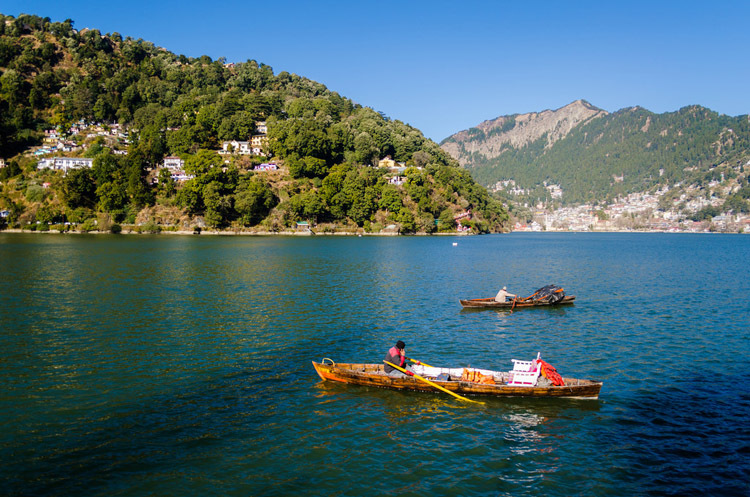 Major Attractions: Naini lake, Naina peak. Ideal Visit Time: 1-2 days. St. John in the Wilderness. Pt. G.B. Pant High Altitude Zoo. Pantnagar Airport, the nearest airport about 2 hours away has daily flights from IGI, Delhi via Air India Regional. But these flights are cancelled on a regular basis due to bad weather. The next nearest airport is either Indira Gandhi Airport, Delhi or Jolly Grant Airport, Dehradun as they both are almost six hours away by road and are connected to all major cities. Kathgodam railway station (KGM) is the nearest railway station about 53 min (23.7 km) away from Nainital. A pre paid cab can be availed from here to the city. Uttarakhand State buses runs regular buses from all parts of Uttrakhand and nearby cities. NH9 connects it to Delhi almost 7 hours away.Uttarakhand State buses runs regular buses here from all parts of the state and nearby cities. NH44, NH334 and NH7 pass through here. 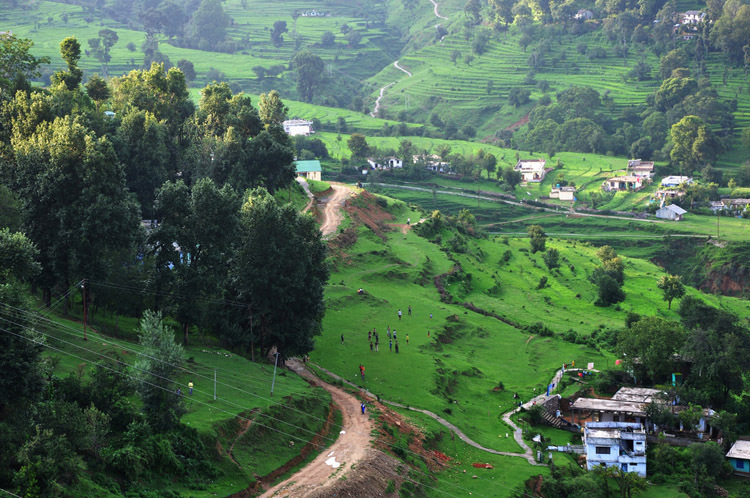 Famous for: Hill station, Views, Serenity. Major Attractions: Kempty Falls, Lal Tibba, Happy Valley. Nearby Places: Dehradun, Rishikesh, Haridwar. 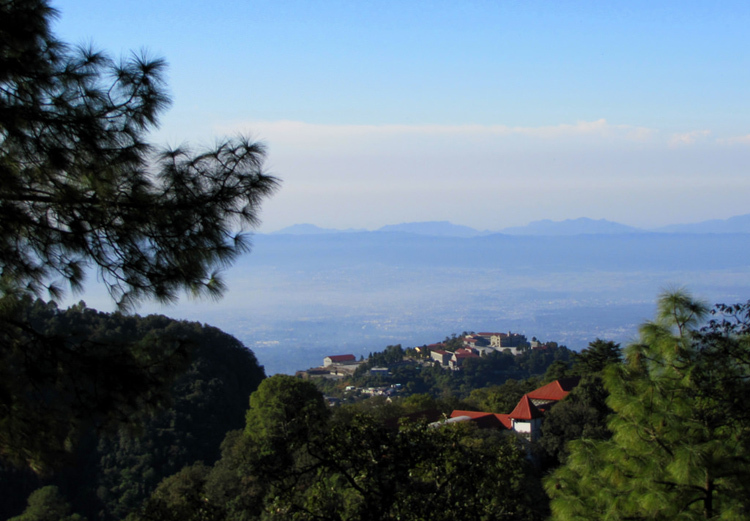 Located at an altitude of 6000 feet, Mussoorie, the ‘Queen of Hills’, is beauty personified. With snow-covered Himalayan peaks on view, the land abundant in natural beauty has an excellent climate too. The winters are chilling and the summers are pleasant. The beauty of the place mesmerized Captain Young of the British army who made this place his residence in the year 1820. 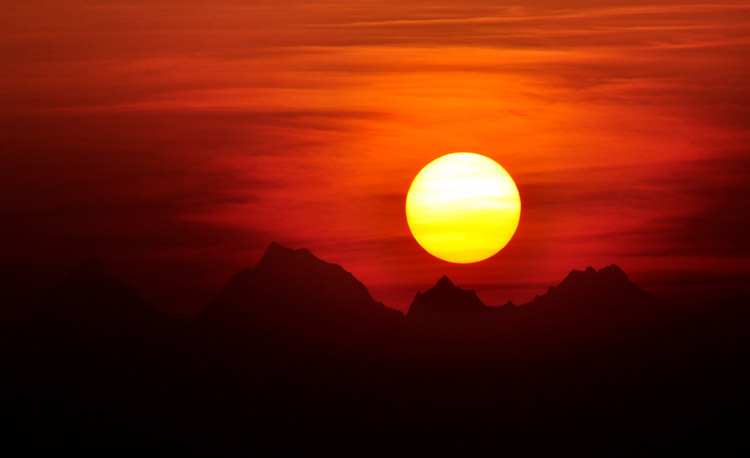 Mussoorie has seen countless footprints ever since the discovery, the list of excited tourists to enjoy the immense beauty of the place is growing. 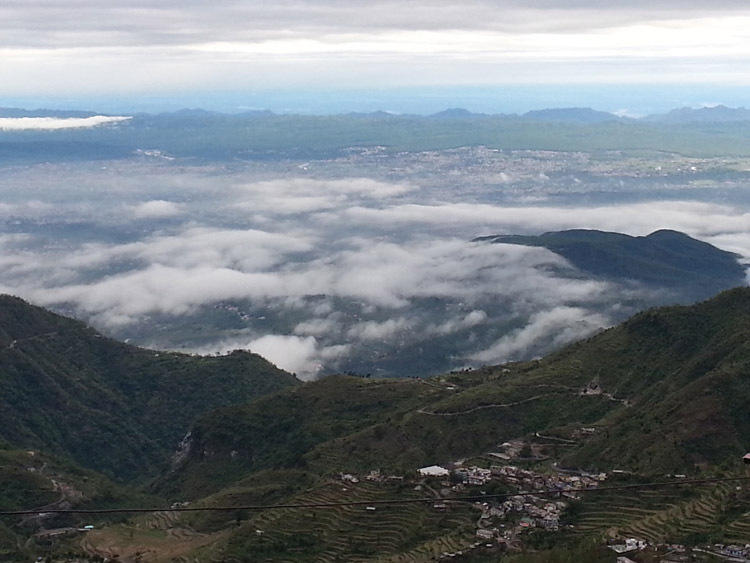 Here are the popular tourist attractions in Mussoorie. Jolly Grant airport is the nearest one to Mussoorie, lying about 2 hr (60 km) away from the city. Major flights like Indigo, Jet Airways, Air India etc have regular flights here from all major cities. Pre paid taxis can be availed from here to the city. Dehradun railway station (DDN) is the nearest junction located at a distance of about 34 km (1 hr 17 min). Take a cab from here to the city. Uttarakhand State buses runs regular buses here from all parts of the state and nearby cities. NH44, NH 334 and NH7 pass through here. Famous for: Spirituality, Adventure sports, Temples, Ghats. Major Attractions: Shivpuri, Beatles Ashram, Neelkanth Mahadev. Nearby Places: Haridwar, Dehradun, Mussoorie. Ideal Visit Time: 2 days. Jolly Grant airport is the nearest one to Rishikesh, lying about 32 min (20.7 km) away from the city. Major flights like Indigo, Jet Airways, Air India etc have regular flights here from all major cities. Take pre paid taxis from here. Rishikesh railway station (RKSH) is the nearest junction located at a short distance from the main city. The connectivity here is not that good and the best option would be to take a train to Haridwar Junction railway station (HW) which has good connectivity from every city in Northern India. A taxi can be availed from here to Rishikesh 43 min (19 km) away. Uttarakhand State buses runs regular buses to here from all parts of the state. Buses run from Delhi, Haridwar and Dehradun on a daily basis. NH34 is the major national highway passing from here. Famous for: Spirituality, Temples, Ghats. 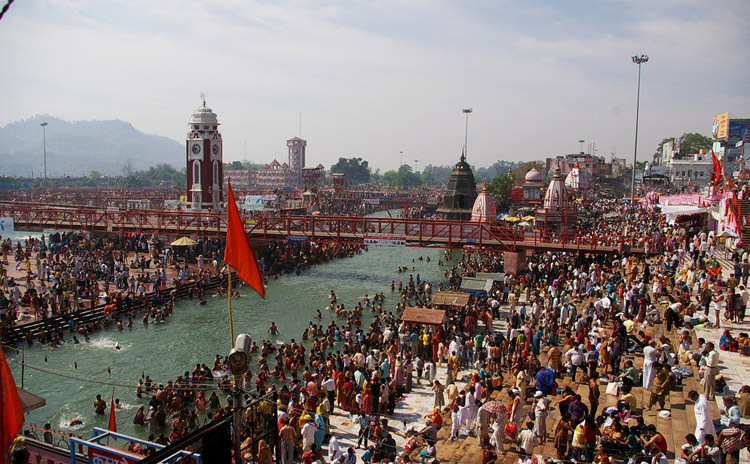 Major Attraction: Har Ki Pauri. Nearby Places: Rishikesh, Dehradun, Mussoorie. Jolly Grant airport is the nearest one to Haridwar, lying about 1 hr 4 min (37.9 km) away from the city. Major flights like Indigo, Jet Airways, Air India etc have regular flights here from all major cities. Take pre paid taxis from here to the city. Haridwar Junction railway station (HW) is the nearest railway station which has good connectivity from every city in Northern India. A taxi can be availed from here to any part of the city. Uttarakhand State buses runs regular buses to here from all parts of the state. Being a pilgrimage town, buses run from Delhi, Dehradun and other nearby cities on a daily basis. NH34 and NH7 are the major national highways passing from here. Famous for: Hinduism, Char Dham. Jolly Grant airport is the nearest one to Kedarnath, lying about 250 km (7 hr 40 min) away from the city. Major flights like Indigo, Jet Airways, Air India etc have regular flights here from all major cities. Pre paid taxis can be availed from here to Gaurikund (the nearest town to Kedarnath accessible from road). Haridwar Junction railway station (HW) is the nearest railway station which has good connectivity from every city in Northern India. A taxi can be availed from here to Gaurikund (the nearest town to Kedarnath accessible from road). Uttarakhand State buses runs regular buses to here from all parts of the state. Regular buses run from Haridwar, Delhi and Dehradun to Gaurikund and NH 107 and NH7 are the highways passing through the same. 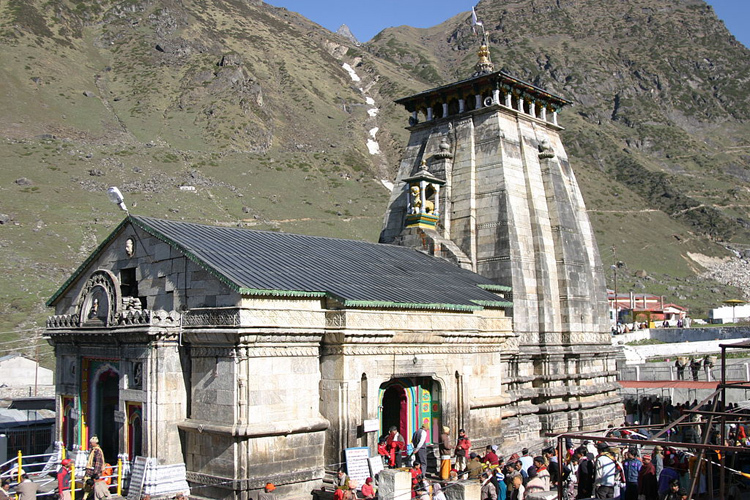 Major Attractions: Badrinath temple and Hot springs. Jolly Grant airport is the nearest one to Badrinath, lying about 8 h 52 min (310 km) away from the city. Major flights like Indigo, Jet Airways, Air India etc have regular flights here from all major cities. 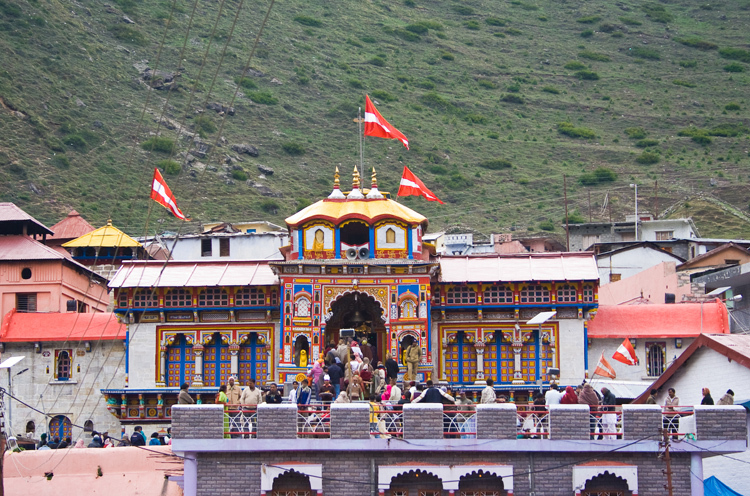 Pre paid taxis can be availed from here to Badrinath. Haridwar Junction railway station (HW) is the nearest railway station which has good connectivity from every city in Northern India. A taxi can be availed from here to Badrinath 9 hr 14 min (316.3 km). Uttarakhand State buses runs regular buses to here from all parts of the state. Regular buses run from Haridwar, Rishikesh, Delhi and Dehradun to Badrinath with NH 534 and NH7 are the highways passing through the same. Famous for: Kumaon Regiment, Temples, Himalayas, Hippie trail. Major Attractions: Kasar Devi Temple, Binsar Wildlife Sanctuary. Almora is heaven to nature lovers. The picturesque district is located on the eastern side of Uttarakhand. The views of Himalayas are spellbinding. It is also famous for handicrafts, cuisine and wildlife. It has a rich cultural heritage. Given below are some of the tourist attractions in Almora. Pantnagar Airport, the nearest airport about 3 hr 34 min (116 km) has flights from Delhi via Air India Regional. But flights are cancelled on a regular basis due to bad weather. The next nearest airport is either Indira Gandhi Airport, Delhi or Jolly Grant Airport, Dehradun as both are about 9 hours away from Almora via road. Kathgodam railway station (KGM) is the nearest railway station about 2 hr 57 min (89.4 km) away from Almora. A pre paid cab can be availed from here to the city. Uttarakhand State buses runs regular buses from all parts of Uttrakhand and nearby cities. NH 109 passes through here. Famous for: Nature trails, sunset views, serenity. Major Attractions: Rudradhari Falls, Anasakti Ashram, Tea Estates. Nearby Places: Almora, Nainital, Haldwani. Pantnagar Airport, the nearest airport about 5 hr 2 min (167.9 km) has flights from Delhi via Air India Regional. But flights are cancelled on a regular basis due to bad weather. The next nearest airport is Jolly Grant Airport, Dehradun about 9 hours away from Kausani via road. Kathgodam railway station (KGM) is the nearest railway station about 4 hr 23 min (141.3 km) away from Kausani. A pre paid cab can be availed from here to the city. Uttarakhand State buses runs regular buses to here from all parts of the state and its nearby cities. NH 7 and NH9 are the national highways passing from here. 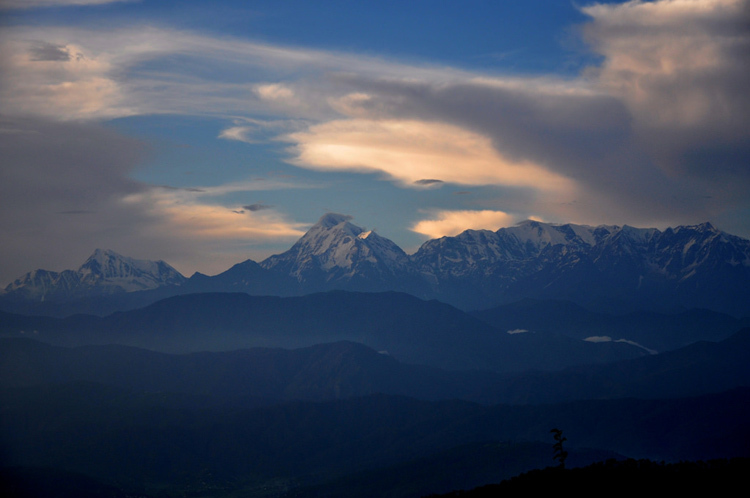 Famous for: Kumaon culture, Nature, Views. Major Attractions: Gangolihat, Dhwaj Temple. Nearby Places: Almora, Patal Bhuvneshwar. A visit to Pithoragarh might make you wonder if every inch of the land is blessed with natural beauty. The stunning beauty of the land defies description. This district is located in the easternmost part of Uttarakhand. It offers scope for trekking as well. The place is an important halt for those who undertake Kailash Manasarovar Yatra. Do not miss the following attractions while you are here. Pantnagar Airport, the nearest airport about 2 hours away has daily flights from IGI, Delhi via Air India Regional. But these flights are cancelled on a regular basis due to bad weather. The next nearest airport is Indira Gandhi Airport in Delhi about 11 hr 34 min (469.3 km) via by road and is connected to all major cities. Tanakpur railway station (TPU) is the nearest railway station about 4 hr 23 min (147.3 km) away from Pithoragarh. Nainital Express and Tanakpur Pilibhit MG Passenger are the two major trains connecting it to Uttarakhand and parts of UP. A pre paid cab can be availed from here to the city. Uttarakhand State buses runs regular buses from all parts of Uttrakhand and nearby cities. NH9 passes through here. Famous for: Hill station, Nature, Himalayan Ranges. 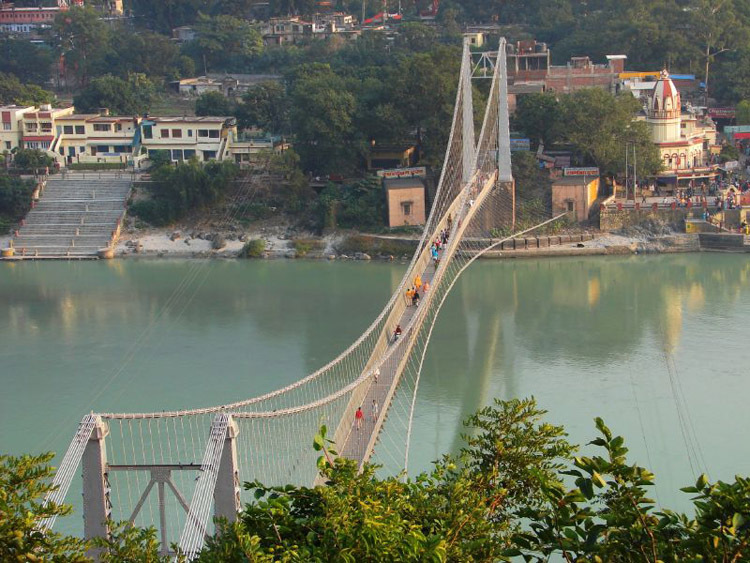 Major Attractions: Jhula Devi Temple, Upat and Kalika. 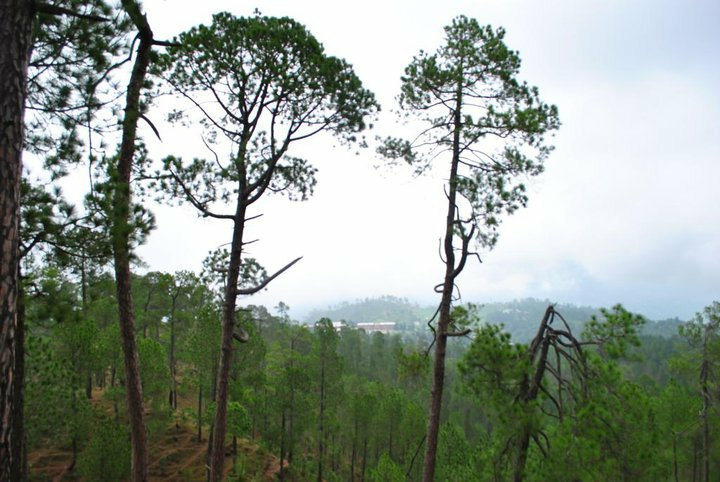 Ranikhet is yet another hill station that elevates your spirits to a different plane. At an altitude of 1829 meters, the ‘Queen’s land’, as Ranikhet is referred to, is the perfect place to visit to view Himalayas at its best. The amazing richness of greenery and the scenic landscape make this place a dream destination. Here are some places you would not want to miss on your tour to Ranikhet. Pantnagar Airport, the nearest airport about 3 hr 13 min (109.0 km) has flights from Delhi via Air India Regional. But flights are cancelled on a regular basis due to bad weather. The next nearest airport is either Indira Gandhi Airport, Delhi or Jolly Grant Airport, Dehradun as they both are almost eight hours away by road and are connected to all major cities. Kathgodam railway station (KGM) is the nearest railway station about 2 h 37 min (82.4 km) away from Ranikhet. A pre paid cab can be availed from here to the city. Uttarakhand State buses runs regular buses to here from all parts of the state and its nearby cities. NH 109, NH 734 and NH 309 are the national highways passing from here. There are a lot more tourist places in Uttarakhand – Lansdowne, Mukteshwar, Naukuchiatal, Pauri, Munsiyari, Auli, Lohaghat and Landour are a few other popular tourist destinations. The limitless beauty of the land and its cultural and religious association make it one of the most frequented travel destinations. Feel free to give details on more destinations that I have missed mentioning. Good article for nature lovers!! Nice blog with detailed information. It would have helpful, if you would have provided how to travel these places,for those who are travelling first time. We are planning to travel in Feb for 11-12 days. Can you please guide the best & nearest places,which we can visit ..Thank you in advance! Really its very nice article. I have a plan to travel in July for these places. Your article very much helpful for me. Thanks for this great post. I am planning a trip to India in the fall and finding a beautiful place with good views of the Himalaya is at the top of my list. I will check out the destinations you suggest. Have you visited those places? That’s a great list, although I think UK is even more beautiful during monsoon. I’m a huge fan of Himalayas. I’m in love with the majestic mountains and keep travelling to the hills every now and then. If you guys are planning trip to UK, give us a chance to be of assistance. We will try to set-up best travel arrangements so that you get to visit all the places and enjoy all tourist destinations. I am planing to visit Uttrakhankd for 6-7 days (Nanital, Almora, Kasuni, Raanikhet, Corbett.) in between 29.oct to 12.nov from Ahmadabad. One important place is missing in list , thats Auli near Badrinath and Joshimath. Must visit place for all snow and mountain lovers . Do visit TRINETRA ORCHADS, motia pathar near mukhteshwar.. its an awesome place.. Please suggested some great place to visit in Uttarakhand, but you miss 3 important places which I think most beautiful. I hope most of the people want to read more information about these place. I also what to go uk its awesome and this blog is very helpful to plan a trip. Thanks for the blog. I believe entire uttarakhand is so beautiful, I love to visit uttarakhand again and again. yah,Mukteshwar is one of them.. Thanks for all of this. Really Uttarakhand A Wonderful Place for tourism as well as spirituality. The place is literally the best place to spend some time with nature. The hill stations and religious places should definitely be visited. You have made an amazing list and I really appreciate your work. You need to add Bhageshwar district in this list as bhageshwar district is one of the most adventure place in uttrakhand. we can enjoy paragliding as well in this district and it is situated on 2500 meter approx from the land and at the time of sunset the view of Himalayas is very pleasant. I want to travel to Dehradun, Mussorrie, Kedarnath, Badrinath, Vaishno Devi, Haridwar, Rishikesh, Pitoragarh, Ranikhet etc. Can you help me plan the package? Nice blog with detailed information. It would have helpful, if you would have provided how to travel these places for those who are traveling first time. We are planning to travel in march for 11-12 days. Can you please guide the best & nearest places which we can visit? Thank you in advance! This is very helpful for us but want to ask u something. How can we randomly reach all this places by train or bus …. I have covered some places naming Dehradun, Masoorie, Pauri, Nainital, Bhimtal, Rishikesh, Haridwar, Haldwani, Ramnagar. Kumaon. Now Planning to go to Binsar Mahadev Temple. I love Uttrakhand. Roorkee is also a beautiful city in Uttarakhand & it is famous for iit roorkee, beg roorkee, Kaliyar Shareef. Main attraction of the city is The Ganga Canal which flows in the middle of the city. There are 5 Lions made by Britishers besides the Ganga. It is only 30Km from Haridwar & 6 Km from Kaliyar Shareef. We are planning to visit Uttarakhand this summer. Please reply my queries. 1. Is it idle to visit in mid May-18? 2. Which places are must to add on list? 4. Are nine days enough to cover Haridwar, Kedarnath, Badrinath, Rishikesh, Mussorie & Dehradun? A very helpful article for those planning the trip to Uttrakhand. Would be more helpful if you could mention the travel routes and hotels to stay.